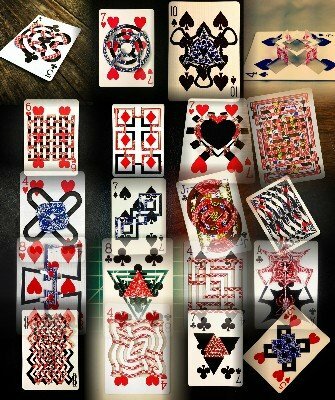 This is a collection of 22 impossible cards created by Ralf Rudolph. For each card you will get a photo of the finished (cut and folded) card, as well as a template to make the necessary cuts. You will NOT get the folding instructions. This means you have to be familiar with the basic folds to create impossible cards. A good place to start is Complete Guide to Impossible Foldings . 1st edition 2016, 44 pages.